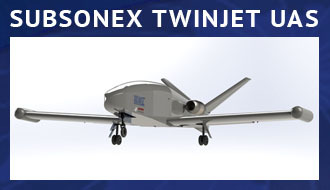 Teros was designed to meet NASC customers’ expanding requirement for an extended range, high altitude aircraft that can operate in a wider range of environments and perform even more challenging missions. As a Medium Altitude Long Endurance (MALE) UAS in the 1,500 pound class, Teros features a flexible design and “Plug and Play Payload” capability that enables the UAS to carry multiple payloads simultaneously at high altitudes for extended periods. Teros has the internal volume, wing store locations and electrical power for large and complex payloads. 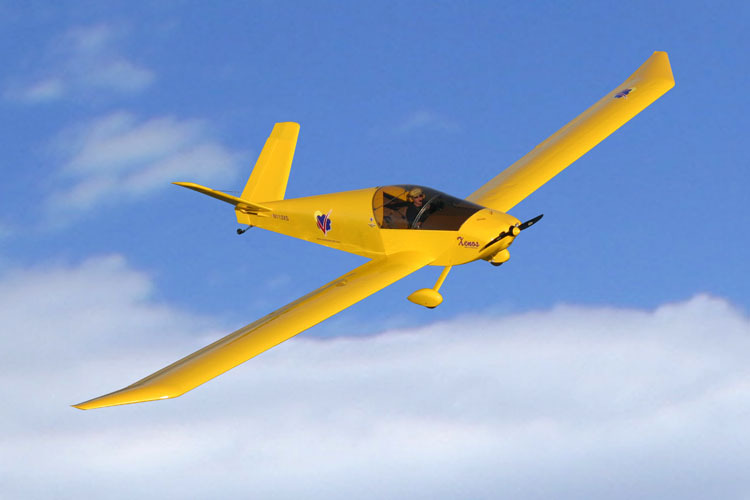 Designed by Sonex Aerospace, Teros is derived from the flight proven Xenos Motorglider airframe by Sonex. In manned operation, the Xenos has logged thousands of trouble-free flight hours including soaring, cross country and aerobatic flight since its introduction in 2003. 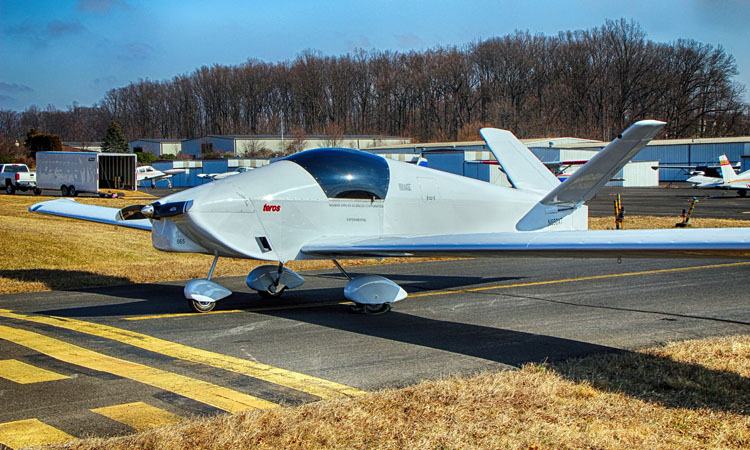 Critical redundant flight control systems, short takeoff and landing capability, fast field assembly, rapid servicing, and autonomous flight operation are among many of Teros’ user friendly design features. 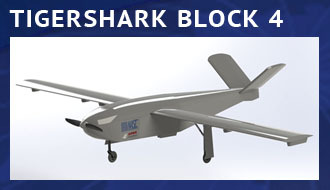 The Teros design focuses on the ability to be rapidly reconfigured to meet different requirements as determined by our customers’ needs, allowing NASC to deliver a customized UAS at a cost-effective price. 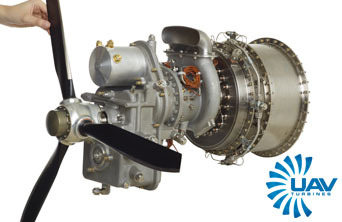 Teros can accept a variety of piston and turboprop powerplants. 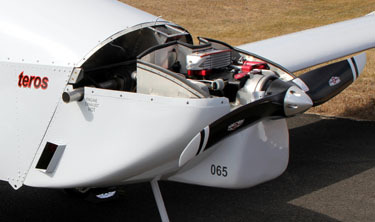 Sonex Aerospace’s AeroConversions AeroVee Turbo 100hp (above, left) is well-suited to power the Teros’ increased gross weight at high-altitudes vs. the original Xenos Motorglider’s use of the normally aspirated AeroVee 80hp engine at lighter flying weights. Modern turboprop engines like the PBS TP100 and future 100hp+ generations of the UAV Turbines platform (above, right) are a natural fit as-well. 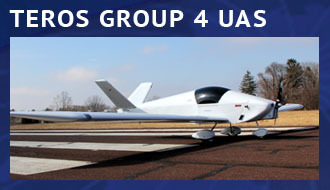 Despite being a large Group 4 UAS airframe, Teros is designed for trailer transport with easily removable wings. in collaboration with Navmar Applied Sciences Corp.